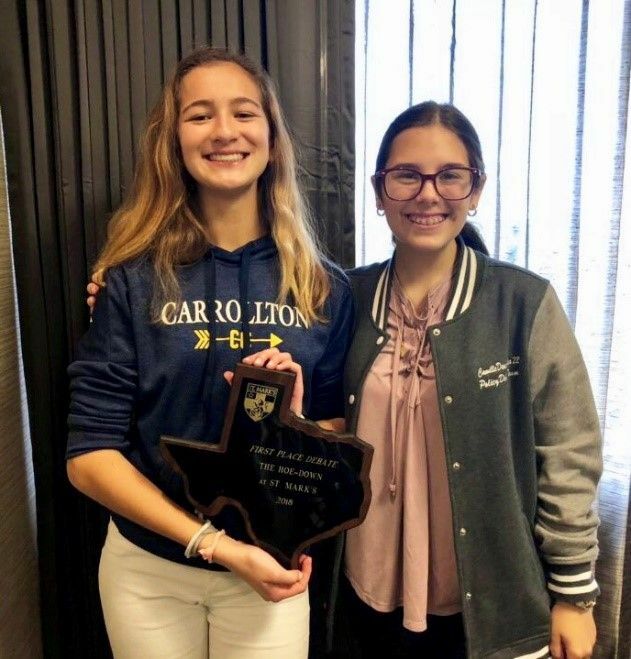 Carrollton School of the Sacred Heart | Carrollton Debate Finishes Fall Season Strong! The St Mark’s School of Dallas hosted the annual Heart of Texas Invitation and Sophomore Hoedown in October. Carrollton sent two 9th graders to the hoedown, Emma Beharry and Camille Deschapelles, to compete against the nation’s best 10th graders in a tournament that Carrollton has never won….until 2018, that is. The two 9th graders bested the selected 37 teams to be named Hoedown Champions. Emma was also 10th place speaker while Camille was awarded 2nd speaker overall. The varsity debaters competed against 150 debaters from fifteen states in the invitational event. After debating teams from Texas, California. Illinois and Tennessee, the senior team of Cecilia de la Guardia and Jasmine Agreda advanced to elimination rounds. They exited in the octo-finals, finishing among the top sixteen in their field. Ceci was named 14th speaker overall. The following weekend, we stayed closer to home, debating at The Tradition in Cypress Bay, Fl. 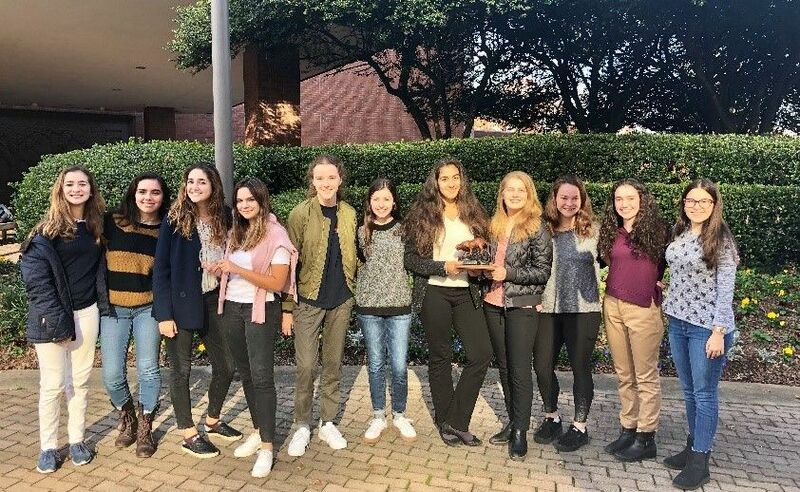 The 9th-grade team of Shannon Feerick-Hillenbrand and Sofia Mortenson debated in the final round of their division, finishing second overall. Shannon was also awarded 4th speaker in the event. Next up on the November schedule was the Westminster Tournament in Atlanta, Georgia. This year Westminster welcomed over 160 policy debaters in various divisions to compete. Carrollton entered teams in all three divisions. Once again, Ceci and Jasmine had an excellent tournament, defeating teams from Texas, Georgia, Tennessee and Taiwan! 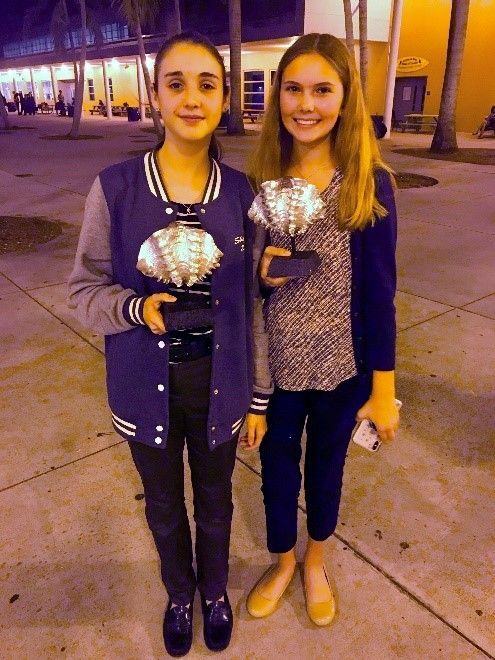 Jasmine was awarded 8th speaker overall and Ceci received the 4th place speaker award. The two advanced to the semi-final round and were defeated, finishing in third place. The Junior Varsity team of Natalie Guistini and Amanda Hernandez were named champions of the JV division along with Natalie receiving 2nd speaker and Amanda 5th. It was a busy and productive November for Carrollton Debate with successes at all grade levels and lots of students getting the opportunity to compete (we had over 20 students entered at Westminster alone!). The students and coaches are exceptionally grateful for your support! Please take a moment to congratulate these ladies on their successes. Next up is our very own Invitational, hosted on the Barat campus beginning December 1st.